Texto por Emilio Luna | 1/31/2015. Esta noche retornaremos a Róterdam con el palmarés de un certamen que termina y, como es habitual, ha dejado numerosas perlas en todas sus secciones. 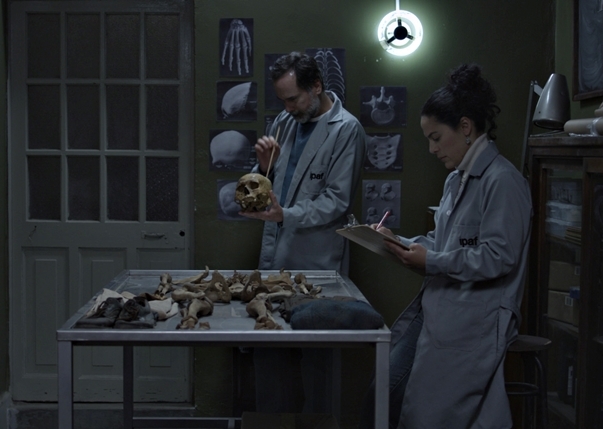 En Bright Future, por ejemplo, destacamos la obra peruana NN, un drama con toques de suspense que ya pasó por los festivales de Lima, Roma y Göteborg. Se trata de la segunda película de Héctor Gálvez Campos tras Paraíso (2009), que nos acerca las pesquisas de un grupo de profesionales en torno a un crimen/desaparación no resuelta. Paul Vega, Antonieta Pari, Isabel Gaona, Lucho Cáceres y Gonzalo Molina protagonizan esta coproducción con Colombia que busca distribución internacional. A continuación, el primer tráiler. Official synopsis: In the backyard of an old military base a team of forensic anthropologists are exhuming the rests of eight people disappeared twenty years ago. During the excavation the group is surprised by a new finding: a ninth body, a male of about 35 years old. No one recognises or claims him, he has no documents or marks that can help identify him, except for a small detail found at the bottom of the pocket of his shirt: a black and white picture of a smiling girl. Fidel, the leader of the team of anthropologists, knows that this is maybe the only clue left by this body to be recognized. So only with this picture, a blurred memento of a time and a memory, he starts a journey to find an identity to these rests, before they are put in a bag and left in a public morgue with the initials NN. Texto por Emilio Luna 1/31/2015.